The online Yellow Pages is very useful. 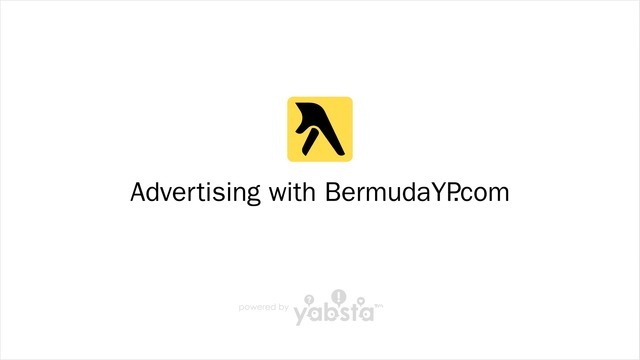 The Bermuda Yellow Pages offers a full range of dynamic and efficient marketing and advertising services in Bermuda. Available throughout the Island, our popular print directory features business listings, white pages, maps, menus, government and airline info, emergency numbers and tide tables. Bermudayp.com, one of Bermuda’s most highly trafficked websites, offers detailed digital business listings (basic listings are free!) and eSites, an Island Guide, Points of Interest, Bizcast business announcements, free classified ads, articles and more. Additionally, Bermuda Yellow Pages offers a complete suite of digital services, including website design and hosting, Programmatic Targeted Display (PTD) advertising, social media, email and video. The Yabsta Platform is also available for licensing - built for small to mid-sized businesses, it’s highly customizable and designed to meet and adapt to your specific needs.